These new Toon Garage 2006 Ford Mustang RT by Jada are just too cute. They are 3.5 inches long and are perfect for your kiddos. 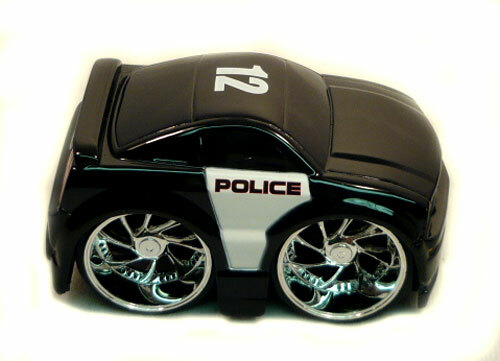 This little cop car comes with pull back action and big Dub wheels. Shipping weight is .5 lbs (8oz).